Make the most of our collection of men's flat caps or 'Paddy Caps' as they are frequently called. We have men's flat caps in an assortment of shapes, textures and sizes. There are the traditional Irish tweed flat caps in the county shape. Or you can choose a deep back flat cap which has an extra band at the back of the cap so the cap sits further down the back of the head. Tweed flat caps have never gone out of fashion. While many have known their value, more and more people are realising the cap's potential in making a fashion statement. The recent rise of the flat cap could be attributed to popular culture in particular peaky blinders and boardwalk empire. So what is it about a tweed flat cap, long before the Shelby-chic, this cap was worn daily by most Irish men. Irish weavers and woollen mills are delighted with the renaissance in the flat cap. 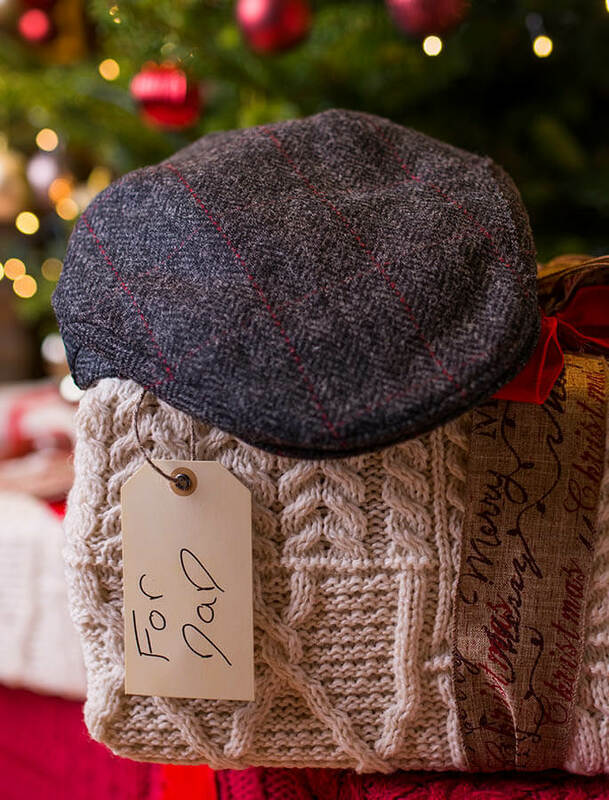 Designers and makers such as Mucros Weavers and John Hanley are at the top of their game with their flat cap collections. These talented Irish weavers and makers match their craftsmanship to Irish tweed resulting in wonderful Irish caps for the home and international wearer. Tweed flat caps are timeless and sophisticated, and as the Shelby brothers have proven remarkably masculine. Flat caps are the typically caps for men, although women can wear them well – similar to the boyfriend shirt trends.